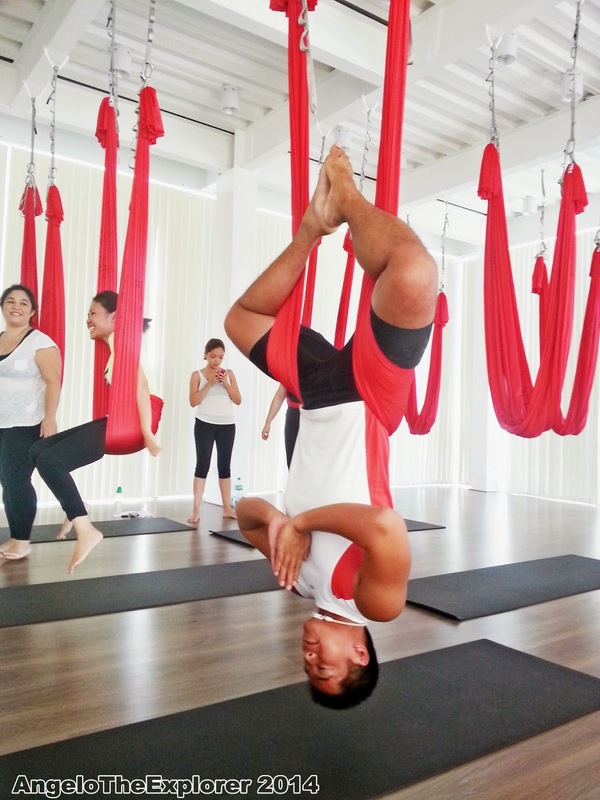 I had heard about Anti-Gravity Yoga for years now and wondered if we had a venue for this South of Manila? Then I found, Beyond Yoga in Westgate, Alabang. yourself up in the air. Based on the Beyond Yoga website, AntiGravity Yoga helps decompress tight joints, relieving pressure while aligning the vertebra, and more. This is done while performing advance yoga inversions without neck or back compression, holding challenging yoga postures longer and in correct alignment, stretch further with less strain, add an entirely new dimension to your yoga practice and create better body awareness while increasing overall agility. 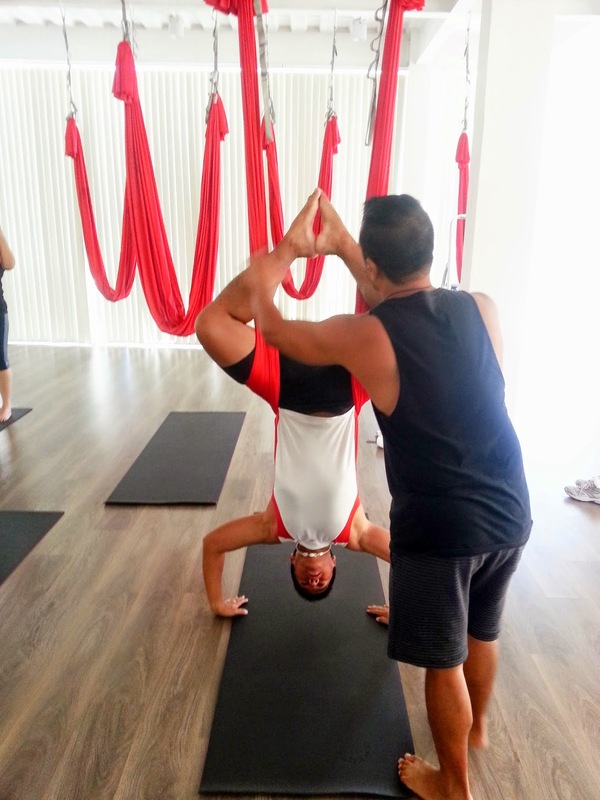 Let me give you a little information about AntiGravity Yoga. The creator of this is Christoper Harrison. Established in 1991, this yoga exercise became famous from then on and used for entertainment and now in fitness. AntiGravity Yoga is when you slowly go upside down, you hold, and balance yourself using the AntiGravity Hammock while you are doing different AntiGravity poses. The hammock is very strong and can hold up to 2000 lbs. of weight. Westgate, Filinvest, Alabang, Muntinlupa City. I also appreciated the privacy. It was nice, quiet and very homey. 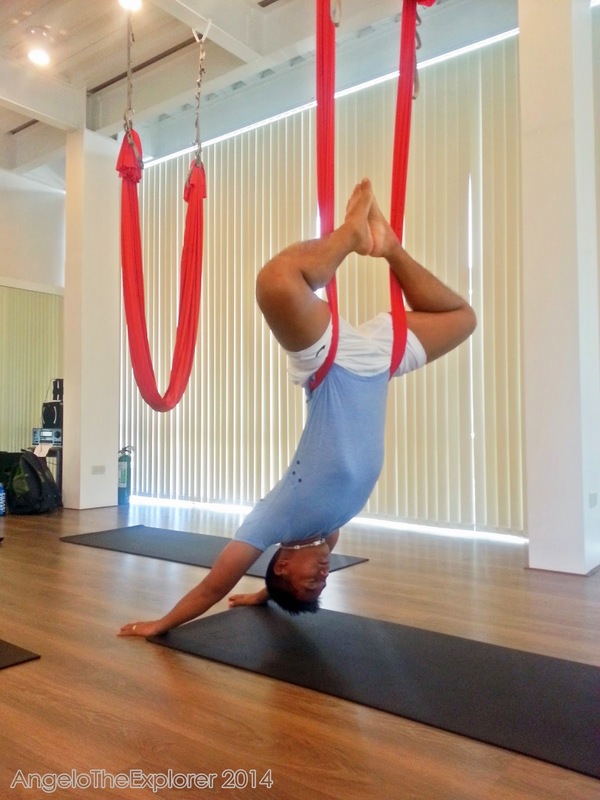 Anti-Gravity Yoga Instructor in the Philippines. The time has come for us to try the AntiGravity Yoga and upon entering the room, I kept asking myself whether I could do this? This was the time to find out! given time to take some pictures. Paulo kept telling us to always relax and trust the strength of the hammock and just basically let go which we all did in the end. I think it was a natural feeling to be anxious, especially if you are hanging upside down but that feeling was only temporary. After a few tries, we were able to do different Anti-Gravity poses like Spiderman, Angel Wing, Pouch Wrap, Angel Flip and Cocoon. It really felt great! This one is what they called Spiderman! This was definitely a great experience and I’m definitely doing this again! 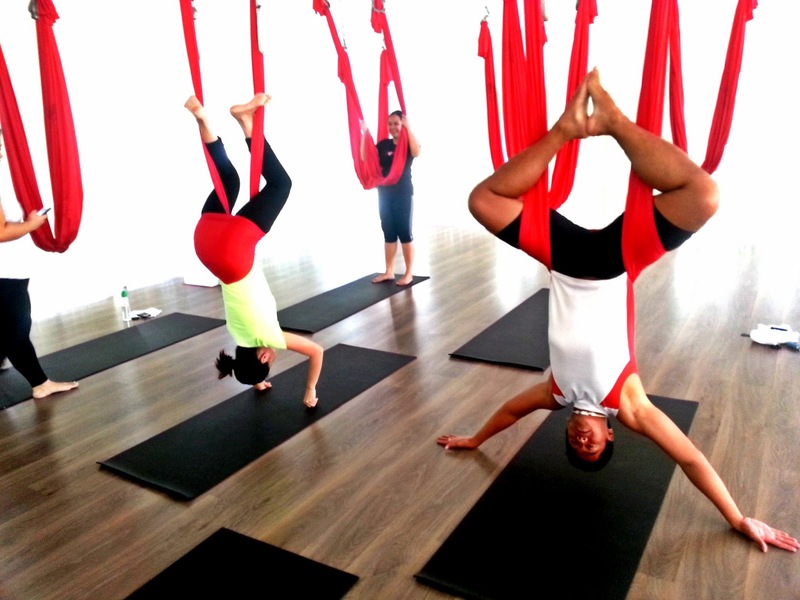 I really appreciated how fun the class was and yet you are getting the full benefits of the Anti-Gravity Yoga. No wonder so many rave about this Anti-Gravity Yoga. This is what they called Angel Wing pose. this great new way of exercising! we were all suspended in the air. I will be able to do this with ease. Do I recommend it? Oh Definitely! 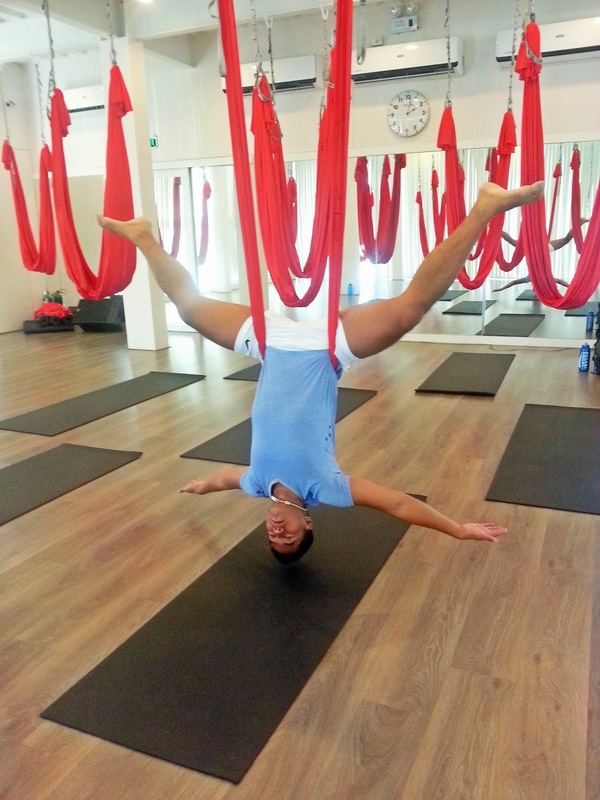 Anti-Gravity Yoga is a great exercise and highly recommended for everyone to try! 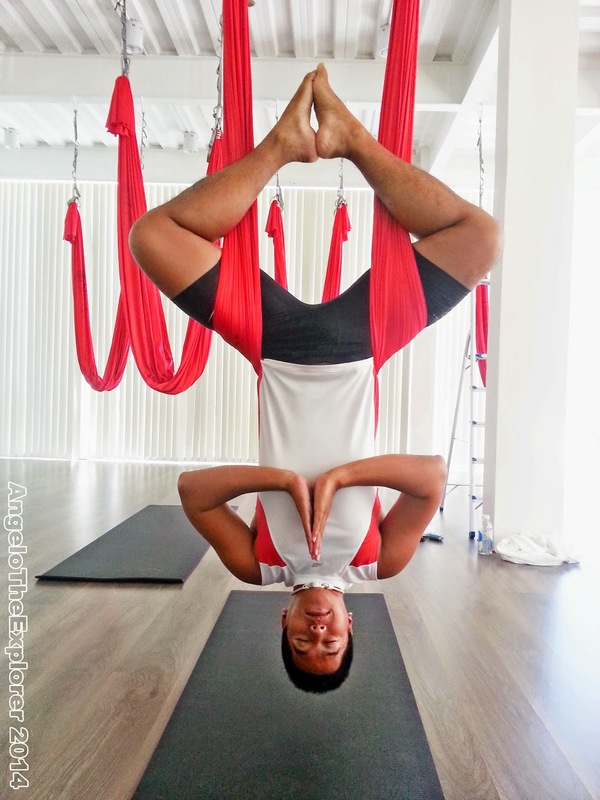 Angelo very soon i will try this anti gravity yoga. You must also visit and stay in Buri resort & spa. its located in Puerto galera. definitely you will love it. That definitely is in my bucket list Alvin! I really heard a lot of good reviews about that place. Take care! I found this article so unique. I never thought that there's such thing as "anti-gravity" in reality there's none. We could say there's one inside a vacuum chamber. But here in the PH there's none. Anyway, it is already here. Those interested for this Yoga exercise, take your time and enjoy. I think this is so difficult and painful. Haha! You really have to start this thing when you are young, strong and flexible. It would be hard to start this when your joints are already clicking. Hehe. A friend of mine tried this one and he was in his early 50s.. He felt dizzy at first specially if you are upside down most of the time. Tip: Don't eat too much before doing Anti-Gravity.. Haha! I was invited by a friend to try this out but I rejected the invitation because I have scoliosis 🙁 It looks fun! I hope those with scoliosis are allowed to try this too. 🙁 Would you know? We have this kind of yoga here in sg, but still pretty rare compared to hatha and bikram. Will this be a better option for someone with weaker knees? I find my knees hurting from certain poses during my bikram classes. Not new to you but not for me. I didn't know a thing like this has been out for quite some time. I guess I am living under the rock. wow, such a nice time, i wish we also have a yoga center nearby since i have always wanted to try it. Wow!, That is really great. It seems the yoga is great and beneficial. I am going to try it. It looks fun! I hope the ceiling is sturdy. What is the cloth made of? Sounds like a great place to spend your summer workshop. A friend of mine would love this post. I love AGY! I've been to both Quezon City and Alabang branches. My favorite teacher is actually Ces. I think you'll do great with the flying fitness class since you look fit and did well on the basics. I guess it was fun doing the spidey pose. This could really help strengthen your core. Ohhh, I can tell you had so much fun. It is becoming very popular in the US and can be a helpful way to improve one's posture. You all looked like Cirque de Soliel dancers. Haha! This antigravity yoga seems like quite a challenge to me because I am afraid of standing upside down, I start getting vertigo but I think yoga of such kind will help me fight my fears.